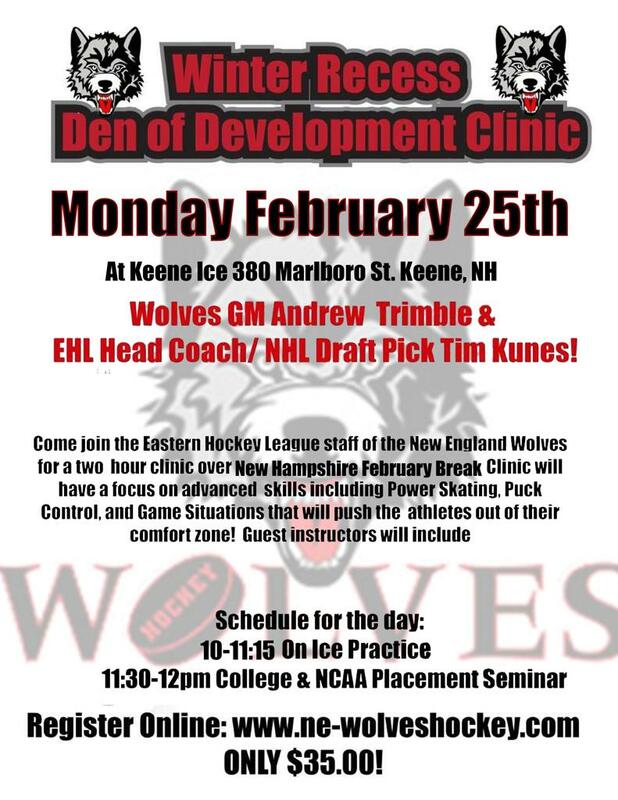 The New England Wolves Jr Hockey Coaching Staff will be holding a skills clinic during NH Vacation Week- 2/25/2019 from 10-12noon at Keene Ice. 75 minutes of on ice instruction in a fast paced setting. Followed by a lot seminar on Jr Hockey and NCAA recruitment. Flyer is below. Please share!